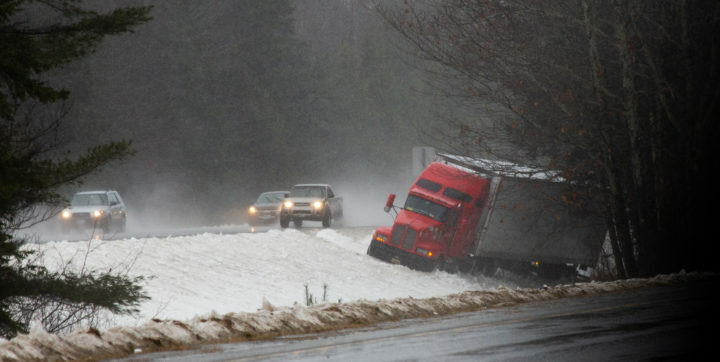 Rainfall along with a high temperature reaching nearly 50 degrees on Thursday created some troubled areas on area roads. 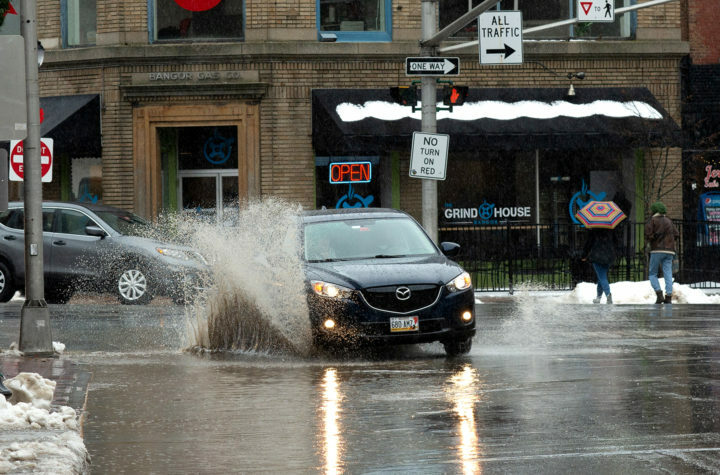 A vehicle passes through standing water at the intersection of Central, Hammond and Main Streets in downtown Bangor. The weather in Bangor is changing gears once again, with rain and wind replacing snow and freezing temperatures from over the weekend. The National Weather Service’s Caribou office issued a wind advisory for Greater Bangor as well as parts of Hancock, Penobscot and Washington counties. Winds up to 50 mph are expected in those areas, and the advisory remains in effect until 8 p.m.
Eastern Maine will also face minor flooding as a result of the moderate rainfall Thursday. 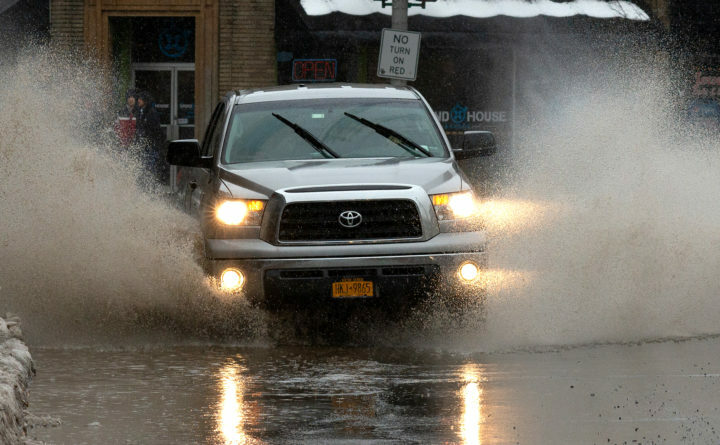 An additional ½ to ¾ of an inch of rain is forecast for the evening, adding to the urban and small stream flooding that is expected, according to the NWS. 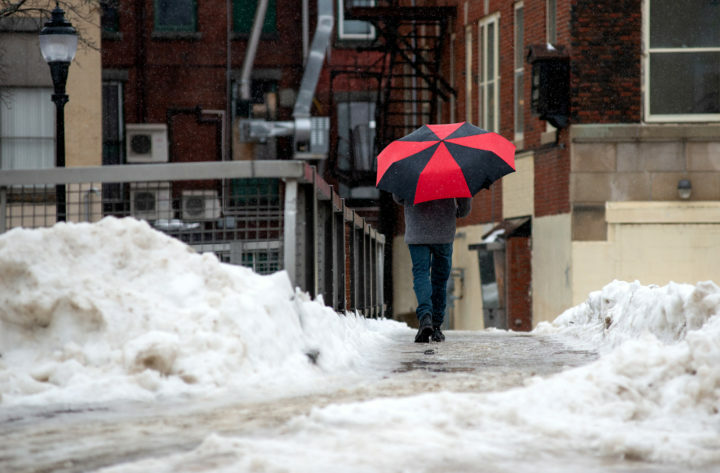 A pedestrian crosses over the Kenduskeag Stream behind West Market Square in downtown Bangor on Thursday afternoon as the rain picked up. A tractor-trailer went off the road on northbound I-95 at mile marker 192 between Kelley Road and Stillwater Road exits on Thursday. 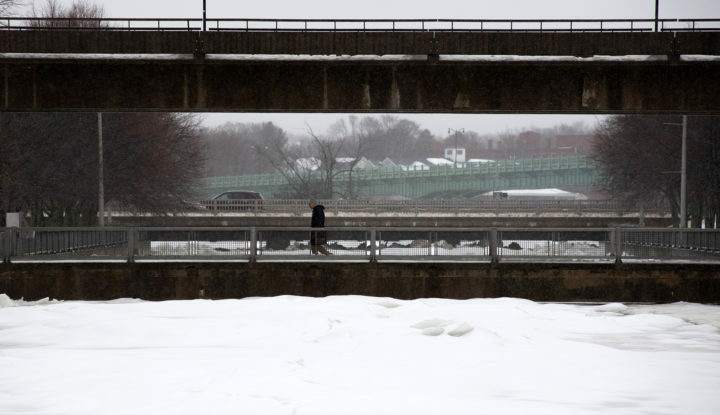 A pedestrian crosses over the rising Kenduskeag Stream in downtown Bangor on Thursday afternoon.